You’ve spent the last few months painstakingly writing your business book, and it’s coming together nicely. The editing is almost done. The end is in sight! But there’s something nagging at you. What will people really think about the book? Have you explained things the right way? Is it too long, too short, too complicated, too simplistic? 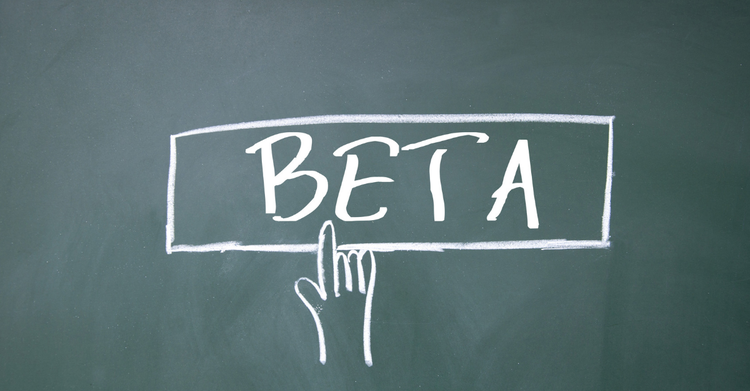 There’s a simple way to find out, and that’s to make use of beta readers. What are they? They’re a test group of people who read your draft manuscript and give you feedback on it, so you can make sure it’s right for your ‘real’ readers when your book is published. Just like software developers put out a beta version of their new tech, so you can do the same with your book. There are some sizzling reasons to do this, some of which are obvious and others of which you might not have thought of. There’s no substitute for receiving unbiased and relevant feedback for your manuscript. When you’re an expert in something, it’s tricky to put yourself in the shoes of someone who knows little about it. The likelihood is that you’ll skip some vital elements of your explanations because you assume your readers are more knowledgeable than they are. It’s easily done. Also, are you keeping your readers’ attention? Is your book structured in a way that makes sense to them? Do your analogies work? You’ll only find out by asking your beta readers. Even the most confident of authors tends to have a bit of a wobble before they press ‘publish’ on their business book. Is it any good? Will people love it? Will it sell? These can be troubling questions. The fantastic bonus of having your book beta-read is that it’s like a ‘soft publish’. You get the practice of putting your manuscript out there to be judged, but only by a few people. If the feedback you receive is that you have the basics spot on but there are a few changes that would take your book from so-so to great, this will give you the confidence you need to promote your book with style. I can tell you from personal experience that this is invaluable. My own forthcoming book, Your Business, Your Book, went through the beta reader stage a few weeks ago and it’s made a concrete difference to how I feel about putting it out into the world. I can’t wait! Some people worry that it’s an imposition to ask people to beta read their book, but in my experience they’re pleased to be asked. Who doesn’t love to use their experience and knowledge to give valued feedback? Also, your beta readers are the first to see your book and are therefore a select bunch. They’ve had the chance to become involved with your author journey, and will almost certainly be happy to help you promote your book at launch. It can be invaluable to have a small team of cheerleaders at that time (remember to thank them in your acknowledgements page). So far so good. But how do you go about this whole beta reading business? Make sure your business book is in reasonable shape before you send it out. You want it to be at around the second draft stage – not perfect or finalised, but good enough to be judged on its own merits. If it’s not finessed enough yet, some of the feedback you receive will be on aspects of it you’d probably have improved yourself in any case. It’s also considerate to allow your readers enough time to read the manuscript, but not so long that you all lose momentum. I’d say around 3 weeks would be a good guide, but you’re the best person to make that call. This is essential. The ideal beta reader is not your spouse, mum, or best friend. These people will only tell you what you want to hear, and let’s face it, no-one loves being told by their own family that their introductory chapter needs more pzazz. Even if you say you want honest advice, you don’t really. Your beta readers should be those who represent the kind of people you want to buy and read your book when it’s published. Think of those in your circle who have similar problems and interests to them, and who would benefit from reading a book like yours. Could you picture them choosing to read your book? If so, you’re on the right lines. Once you have a small group of up to 10 beta readers, either email them your Word document for them to insert comments and track changes, or put it up as a Google Doc and turn the comments on. Where do I skimp on detail and where do I give too much? Is there anything that confuses you? Is there anything that bores you? What main message do you take from the book? You’ll no doubt receive a wide range of comments, many positive and a few negative. Welcome the negatives as if they’re your best friends, because they will help you improve. And the positives? Store them away for when you need a pre-publication nerves settler – they’re like gold dust. You’ll have to decide which improvements to make and which to pass by. If you receive similar feedback from more than one person you can pretty much guarantee it’s solid. However, many suggestions will be one-offs, and then it’s up to you to decide if you action them or not. Try to see them objectively. I’ve made changes based on beta feedback from only one person if I can see it makes sense, but if I’ve felt strongly about keeping things as they were I’ve ignored it. It’s up to you. The amazing thing about having the beta reader feedback is that, once you’ve made the changes, you’ll be confident your book is appealing to your target readers. You’ll no longer be stuck in your own thinking about it, but will now be able to see it from the perspective of the outside world. 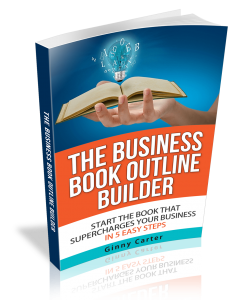 This is of huge benefit when it comes to publishing and marketing your business book. Best of luck with your beta reading!